Although human issues are universal, what is so amazing about the dynamic of each clan is that the particular members of a clan hold a piece of each other's puzzle. Upon first appearance, this may not seem so, but the wheel is a study in this very principal, as we all get exactly what we need, exactly when we need it, in perfect order, every time. The people come together, time after time after time in service to each other. We are but reflections of one another, until we are reflecting only what is inside of our heart of hearts. For it is then that we are not so much reflectors, as we are receptors and projectors. It is then that we are projecting the most essential part of our highest and finest selves from the very core of our being. And so it is wise to pay attention to everything and everyone that comes into your space. Let no blessing go unnoticed and no message go unheard. Be not fooled by the wrapping paper on the gift. The Phoenix is rising! 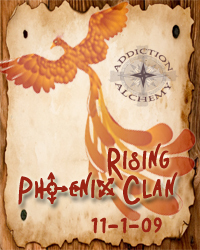 On January 28, 2007, the first Addiction Alchemy Clan was born: The Phoenix Clan. On October 8th of the same year that clan culminated at the center of the wheel. That was the first time that I myself had gone to the center of the medicine wheel. After going to the center of the wheel 14 times over the last 3 years, it is now clear to me how we are stepping up to fully integrate these energies for the highest good of our community and the world. Now, 2 years later from the time of their completion, the phoenix is rising and the members of this clan as well as those who are now in our sphere are at a critical juncture of our human potential. And we need each other. 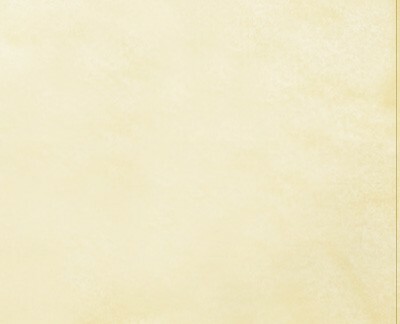 There are five birds which are symbolic of the alchemy of spiritual progression. They are the Black Crow (raven), White Swan, Peacock, Pelican and the Phoenix. Each bird allegorically and energetically corresponds to the cardinal directions on the Recovery Medicine Wheel. We will learn more about these birds and what they represent during the journey. We will be tapping into the energy of each of them as we travel the directions. Of special note to this clan is that the Phoenix is at the culminating stage of the alchemical progression. This is not surprising as the energy of the Phoenix is one of total rebirth, regeneration, triumph and victory. 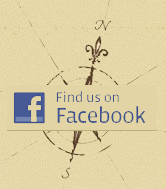 At the bottom of the page are more links to information about birds of alchemy. There are many, many descriptions of this legendary bird. Some consider the phoenix a prime example of unseen things (such as God), which can only be understood through their names and attributes. Some describe the phoenix as an eagle-sized bird; half eagle and half pheasant. Others say it is heron-like or a conglomeration of the most beautiful parts of all the birds in the world. Its name comes from the Greek word for crimson because the phoenix is associated with fire and the sun. It has been described as golden or multi-colored. Some say it never eats. Others say it eats only dew. Most believe there is only one of its kind and it lives alone in Arabia or Ethiopia. All agree it is a bird of great power and beauty. The Phoenix enjoys immortality, which had to be renewed with fire every 300 to 500 years. When the end of its life cycle drew near, the phoenix would gather aromatic herbs, woods, and spices from around the world with which to build its own funeral pyre or nest. Sitting in the nest, and having turned to face the rays of the sun, beating its wings, it deliberately fans the flames for itself and is consumed in the fire. Once the old body was consumed, the phoenix would be reborn from a worm, its marrow, or an egg found among the ashes and would embark on another 500 years of life. According to some legends, the renewed phoenix carried its old bones to the City of the Sun in Egypt where they were disposed of with special funeral rites. I am calling to you as we break open and burst through our eggshells, emerging from the ash and preparing to take flight. It's time to fully integrate the seen with the unseen, fine energies with the dense, spirit and flesh, at it's baseline: heaven on earth. And for this we need each other! This does not stem from a need to complete ourselves, for we are now whole. But a need to complete the puzzle of this cosmos and to find our deepest calling and our truest place in this world. Remember, no one else has the puzzle piece. Only you have the one that you hold. If you do not put your piece into place, others cannot put theirs fully into place. It's that simple. We each however, are not as powerless and at each other's mercy as this might imply. For there are many forces at work, not the least of which is something called magnetism and electricity. And it is through the use of these universal forces and others, that we can influence our people, the ones closest to us in our quadrant of the puzzle to take their rightful place, by doing so ourselves. It's a beautiful system, which has a failsafe in place. Because the only thing we have to be concerned with is taking our own rightful place. When we do that, our soul groups are given a "lift" by this very movement. More of the pieces can be put into place, and the tipping point is reached, much like when you put together a jigsaw puzzle, where the remaining pieces go together with ease. If you are ready to get closer to your deepest calling and the realization of your highest ideas, this clan and this journey may be for you. The Phoenix Clan has asked for this journey, but anyone who resonates with this is asked to take their place and so it is open to you. If your eyes are upon this page, Phoenix says, "This is your time". Join us on this magical journey as we BEGIN IN THE CENTER OF THE WHEEL! The Phoenix is symbolic of rebirth, hope, purity, chastity, marriage, faith, constancy, summer, eternity, immortality, and light. It is an image of the cosmic fire some believe the world began and will end in. Wherever it is found, the phoenix is associated with resurrection, immortality, triumph over adversity, and that which rises out of the ashes. Thus it became a favorite symbol on early Christian tombstones. In chapters 25-26 of his letter to the Corinthians, St. Clement, Bishop of Rome, upheld the legendary phoenix as an evidence of Christ's ability to accomplish the resurrection of the faithful. He quotes Job as saying, "Thou shalt raise up this flesh of mine, which has suffered all these things." Often, as an emblem of Christ, it was found with the palm tree (another symbol of resurrection) or carrying a palm branch (a symbol of triumph over death), or carrying an olive branch (a symbol of God's peace offered to humans). One day in the beginning times, the sun looked down and saw a large bird with shimmering feathers. They were red and gold--bright and dazzling like the sun itself. The sun called out, "Glorious Phoenix, you shall be my bird and live forever!" Live forever! The Phoenix was overjoyed to hear these words. It lifted its head and sang, "Sun glorious sun, I shall sing my songs for you alone!" But the Phoenix was not happy for long. Poor bird. Its feathers were far too beautiful. Men, women, and children were always chasing it and trying to trap it. They wanted to have some of those beautiful, shiny feathers for themselves. "I cannot live here," thought the phoenix. and it flew off toward the east, where the sun rises in the morning. The Phoenix flew for a long time, and then came to a far away, hidden desert where no humans lived. And there the phoenix remained in peace, flying freely and singing its songs of praise to the sun above. Almost five hundred years passed. The Phoenix was still alive, but it had grown old. It was often tired, and it had lost much of its strength. It couldn't soar so high in the sky, nor fly as fast or as far as it was young. "I don't want to live like this," thought the Phoenix. "I want to be young and strong." So the Phoenix lifted it's head and sang, "Sun, glorious sun, make me young and strong again!" but the sun didn't answer. Day after day the Phoenix sang. When the sun still didn't answer, the Phoenix decided to return to the place where it had lived in the beginning and ask the sun one more time. It flew across the desert, over hills, green valleys, and high mountains. The journey was long, and because the Phoenix was old and weak, it had to rest along the way. Now, the Phoenix has a keen sense of smell and is particularly fond of herbs and spices. So each time it landed, it collected pieces of cinnamon bark and all kinds of fragrant leaves. It tucked some in among its feathers and carried the rest in its claws. When at last the bird came to the place that had once been its home, it landed on a tall palm tree growing high on a mountainside. Right at the top of the tree, the Phoenix built a nest with the cinnamon bark and lined it with the fragrant leaves. Then the Phoenix flew off and collected some sharp-scented gum called myrrh, which it had seen oozing out of a nearby tree. The Phoenix made an egg from the myrrh and carried the egg back to the nest. Now everything was ready. The Phoenix sat down in its nest, lifted its head, and sang, "Sun, glorious sun, make me young and strong again!" This time the sun heard the song. Swiftly it chased the clouds from the sky and stilled the winds and shone down on the mountainside with all its power. The animals, the snakes, the lizards, and every other bird hid from the sun's fierce rays -- in caves and holes, under shady rocks and trees. Only the Phoenix sat upon its nest and let the suns rays beat down upon its beautiful, shiny feathers. Suddenly there was a flash of light, flames leaped out of the nest, and the Phoenix became a big round blaze of fire. After a while the flames died down. The tree was not burnt, nor was the nest. But the Phoenix was gone. In the nest was a heap of silvery-gray ash. The ash began to tremble and slowly heave itself upward. From under the ash there rose up a young Phoenix. It was small and looked sort of crumpled, but it stretched its neck and lifted its wings and flapped them. Moment by moment it grew, until it was the same size as the old Phoenix. It looked around, found the egg made of myrrh, and hollowed it out. Then it placed the ashes inside and finally closed up the egg. The young Phoenix lifted its head and sang, "Sun, glorious sun, I shall sing my songs for you alone! Forever and ever!" When the song ended, the wind began to blow, the clouds came scudding across the sky, and the other living creatures crept out of their hiding places. Then the Phoenix, with the egg in its claws, flew up and away. At the same time, a cloud of birds of all shapes and sizes rose up from the earth and flew behind the Phoenix, singing together, "You are the greatest of birds! You are our king!" The birds flew with the Phoenix to the temple of the sun that the Egyptians had built at Heliopolis, city of the sun. Then the Phoenix placed the egg with the ashes inside on the sun's altar. "Now," said the Phoenix, "I must fly on alone." And while the other birds watched, it flew off toward the faraway desert. The Phoenix lives there still. But every five hundred years, when it begins to feel weak and old, it flies west to the same mountain. There it builds a fragrant nest on top of a palm tree, and there the sun once again burns it to ashes. But each time, the Phoenix rises up from those ashes, fresh and new and young again. My higher self merges with my physical body and I am whole. I face my emotions and allow the fire to cleanse my being. I am willing to stand in the fire to face my greatest fears and to release myself completely from suffering. I am a multi-dimensional healer. I freely walk between the sky and earth realms bringing in the best of both worlds.